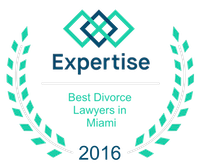 Simple Divorce | Miami Family Law Lawyers Vilar Law, P.A. For some marriages, divorce is seen by both parties as an unfortunate inevitability. Often times when a marriage is becoming untenable, and all options of saving the relationship have been exhausted, reaching an amicable divorce agreement is the ideal alternative. While a divorce is rarely a happy occasion, that doesn't mean it needs to be a messy or difficult process under the right circumstances. Even though divorces can get complicated, the State of Florida allows for a type of divorce called a Simplified Dissolution of Marriage, or a Simple Divorce. People typically seek out a Simple Divorce if all the variables that are usually included in a divorce settlement are both straight-forward and mutually agreed upon by both parties. Usually those issues involve property (both real and personal), assets, debts and other financial factors. If both parties can agree on how to best handle these issues, then a Simple Divorce may be a fast, efficient, and simple solution. What is the difference between a simplified and regular dissolution proceeding? According to the Florida Bar Association, a regular dissolution of marriage proceeding allows for each spouse to contest the presentation of information brought forth by the other. This allows the parties in a divorce to challenge and cross-examine each other to determine the factual truth of assets, and other issues, that each side may disagree over. A Simplified Divorce removes those issues because both parties agree on their assets, and therefore there is no need to contest or clarify any factual disagreements. There are many benefits to Simple Divorces, even though none of them can equal the benefit of removing the emotional and financial stress that often comes with a divorce. While Simple Divorces may not require the assistance of an attorney, it is always highly recommended that any legal document be checked by a legal professional. Thankfully, the simplicity of the process allows for there to be a faster and more cost-efficient dissolution of marriage, especially when compared to traditional divorce agreements. There can be no minor or dependent children born from the marriage nor can the wife be pregnant. If there is property, division of property must be agreed to and a written property division agreement must be filed with the court at the time of initial appearance. You cannot have any unresolved financial obligations. One of the parties must be a Florida resident for at least six months prior to the date of filing and your residency must be corroborated by a witness. Both parties must complete a Marital Settlement Agreement. For over 20 years, Vilar Law has handled countless requests for Simple Divorces. It would be easy for less experienced attorneys to guide their client towards a more complicated divorce, creating nothing more than headaches and inflated attorney's fees in a situation that could possibly be handled in a much simpler and cost-efficient manner. On the other hand, Simple Divorces may not be for everyone. To have Vilar Law evaluate your divorce to determine the most appropriate course of action, please contact Vilar Law offices, at (305) 373-8000. Some pieces of information you should have handy are: tax statements, pay stubs, bank and credit card statements, business information and anything relevant pertaining to your children.